The last field stop on the 2014 Georgia Peanut Tour allowed attendees to see harvest up close at the farm of Hub Daniel in Tattnall County. At earlier field stops the ground was too wet for farmers to demonstrate peanut digging or picking. Daniel is a fifth generation farmer and has been farming for 34 years. He grows 2,700 acres of peanuts, corn, soybeans, cotton, wheat, rye and pecans. Check out this video where WTOC recognized Hub Daniel. 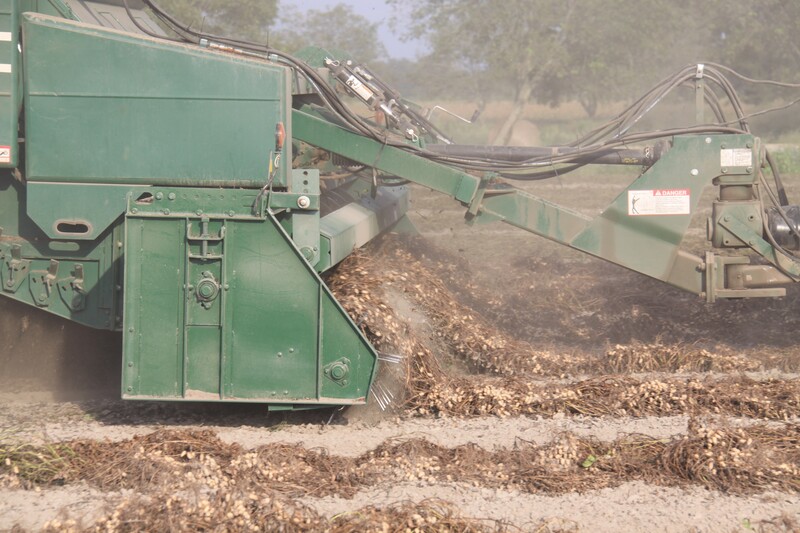 While at the farm, attendees were able to see Daniel harvest his peanuts with a KMC combine and continue to pick peanuts by using KMC’s unload on-the-go. 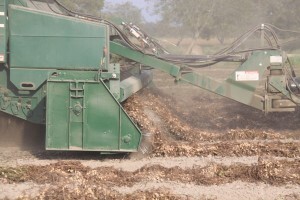 This option saves farmers time loss to dumping by allowing continuous harvesting.